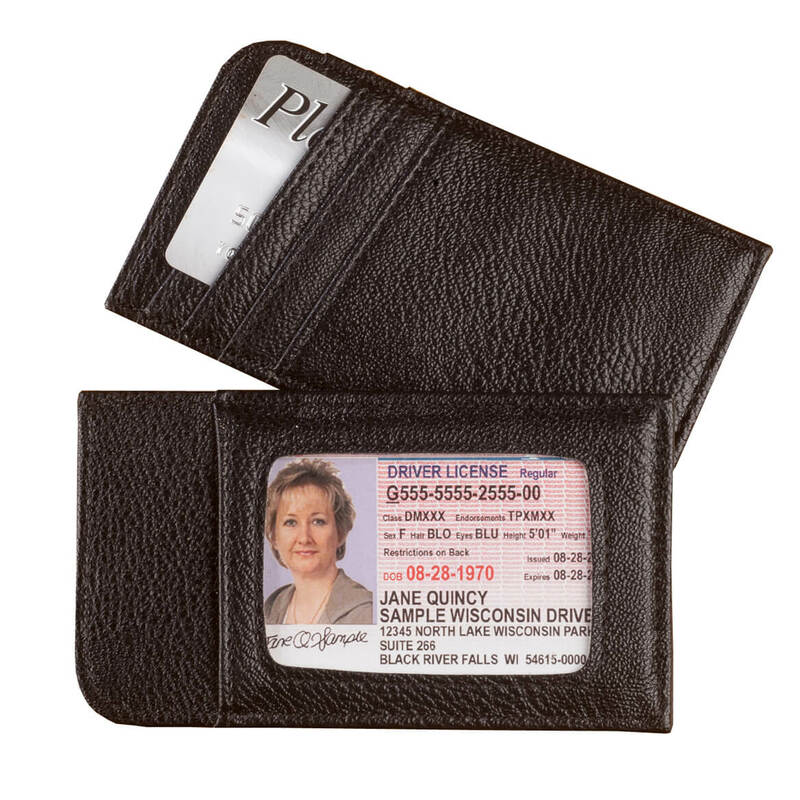 Plastic wallet insert allows you to replace torn, worn-out wallet sleeves with new ones and protect priceless photos, important identification, business cards, credit cards and more. Our 6-sleeve wallet insert measures 3 1/2″ x 2 3/8″. 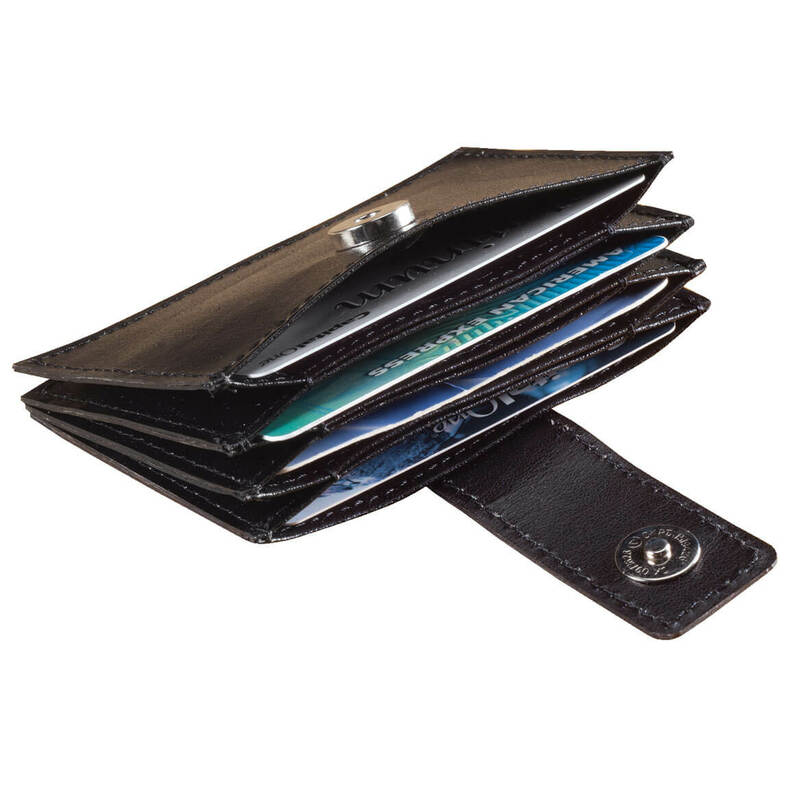 This wallet insert for credit cards comes in durable plastic with flip-style windows for easy access to contents. Wallet not included. 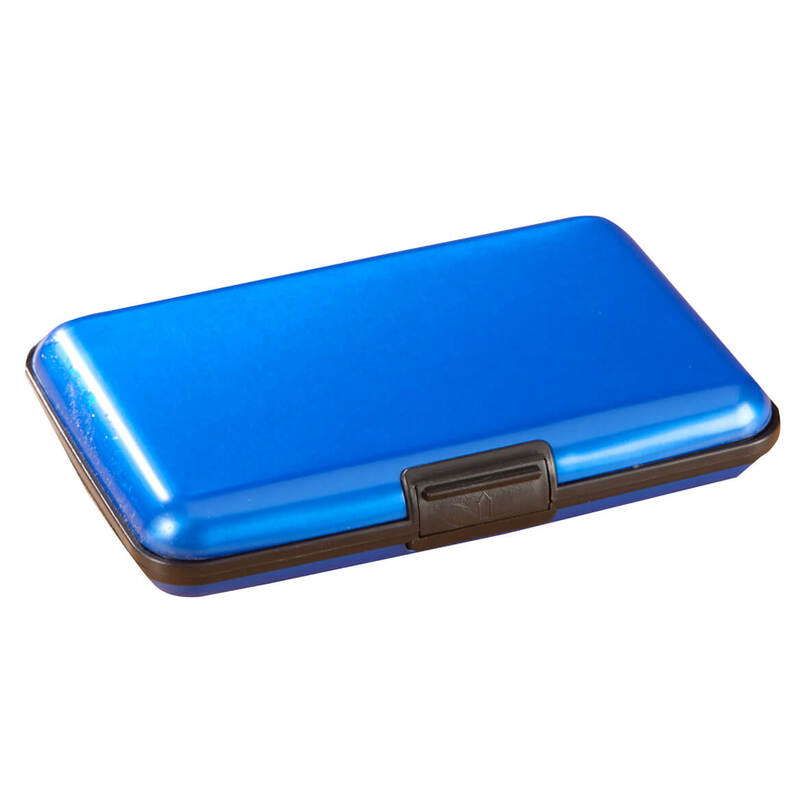 Durable plastic; flip-style windows for easy access; 3 1/2" x 2 3/8"
Hang on to valuables with a neck wallet—tucked beneath clothing, travel neck wallets are safely hidden from pickpockets! 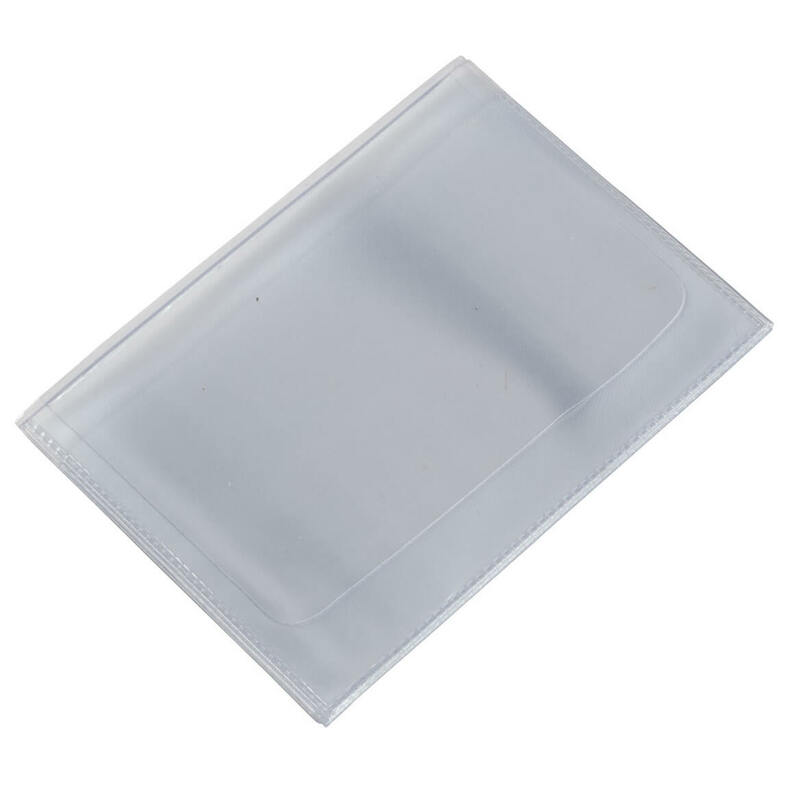 Hidden travel wallet features clear outer I.D. pocket and two zippered pockets. Black nylon. 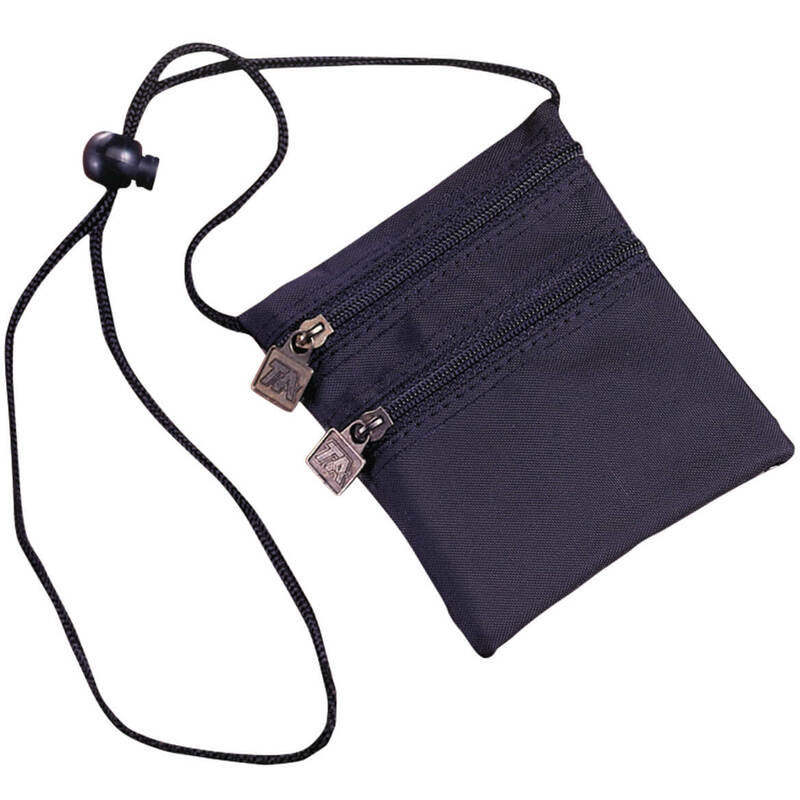 Neck pouch is 4 3/4″ long x 4 1/2″ wide; 23″ long adjustable cord. Sleek aluminum credit card holder shields cards from RFID chips in scanners—protecting you from identity theft. Crushproof and slim enough for pocket, it’s a modern “must-have” for savvy credit card holders like you! Holds approx. 12 credit cards. 4 1/4″ long x 3″ wide x 3/4″ deep. Slip your credit or debit cards into these RFID sleeves and protect your personal information from theft. RFID (Radio Frequency Identification) chips are embedded in credit and debit cards with encoded personal and account information, and criminals now use special scanners to steal it. But these smart little credit card sleeves are specially treated with a metal alloy that blocks RFID data scanners, keeping sensitive info safe. 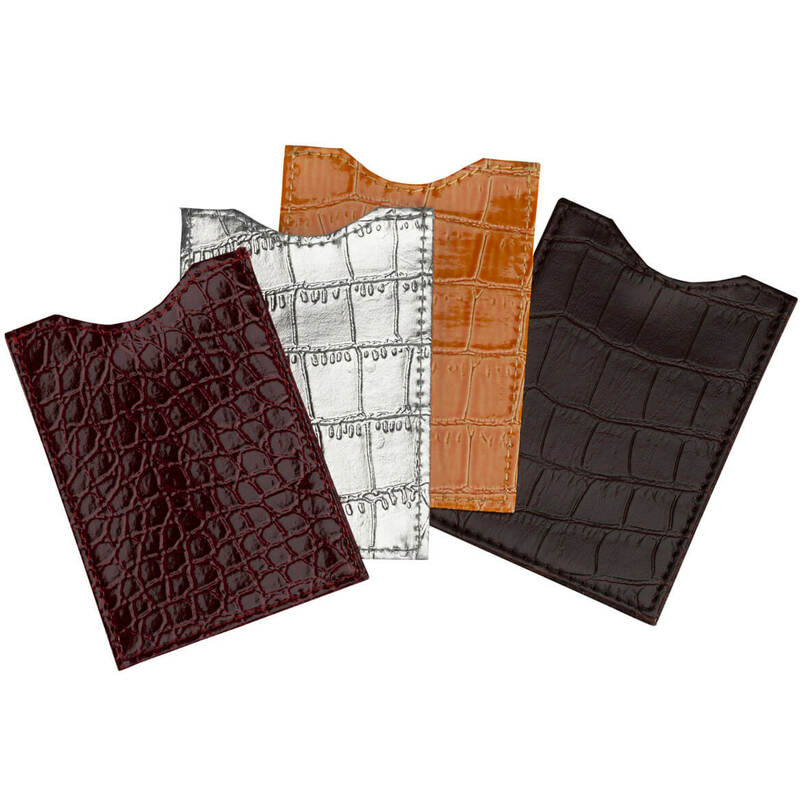 Thin, tear-resistant plastic RFID blocking sleeves fit easily in wallet, card holder or money clip; value-priced set of 4 includes gold, silver, burgundy and brown. Each, 3 1/2″ wide x 2 1/4″ high. Designed with an alloy shield hidden beneath genuine bonded leather, this RFID credit card wallet shields your credit cards from RFID scanners—keeping sensitive account data secure. Classic accordion wallet design features 4 slots to keep cards in place and easy to retrieve, yet safely protected from from tech-savvy thieves. Perfectly sized for pocket or purse, the unisex style RFID wallet includes snap closure. 4″ long x 2 1/2″ wide. Here’s something special for the pre-teen. Boy’s wallet is blue with sports balls. 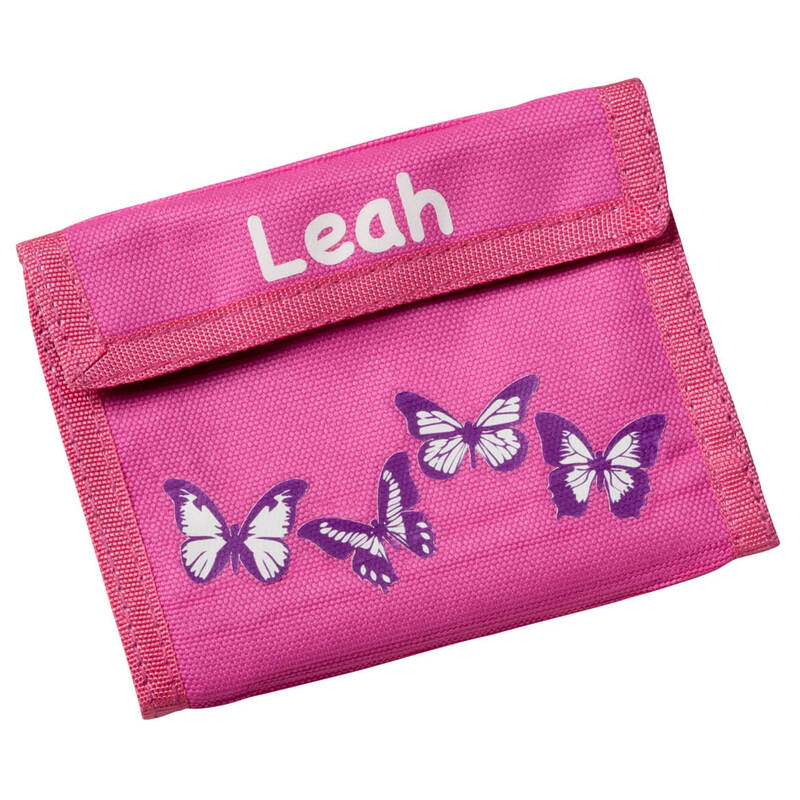 Wallet for girls is pink with purple butterflies. Personalized children’s wallets are polyester with a gripper-tape closure. Name is printed in white. Specify style: sports or butterfly. Specify name; limit 1 line, 10 letters/spaces. 5″ x 8 1/2″ open. RFID scan safe card sleeve protects your most important data. Slim design organizes four credit cards on one side, reversing to a clear ID card window on the other. RFID protection protects your financial data from the scanners used by tech-savvy thieves. Storing your driver’s license in the window also prevents retailers from scanning the back. Easily slips into a wallet or handbag for easy access. Specify color: raspberry, teal, taupe or black. RFID sleeves measure 5″ long x 3″ wide. Polyurethane/polyester. Leather personalized wallet comes in a smaller size to fit right in your front pocket—allowing convenience, with an added measure of security. Our personalized men’s front pocket wallet with money clip is great for airport travel or anytime you need quick access to your ID. This front pocket wallet features a strong magnet closure, a pocket for driver’s license or credit cards, and a clip for money. 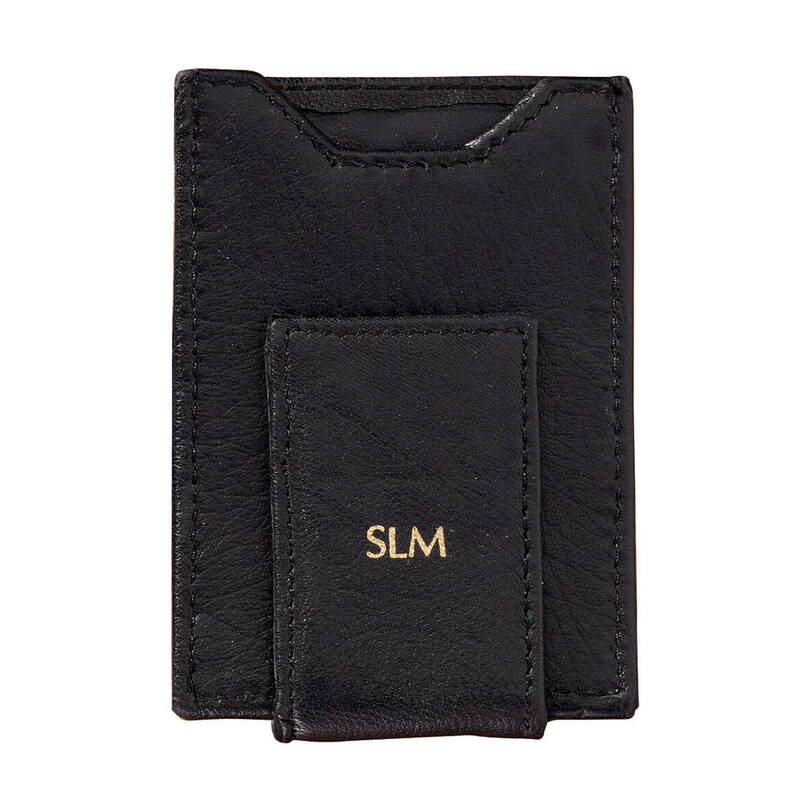 We’ll personalize your front pocket wallet with initials, stamped in gold as shown. 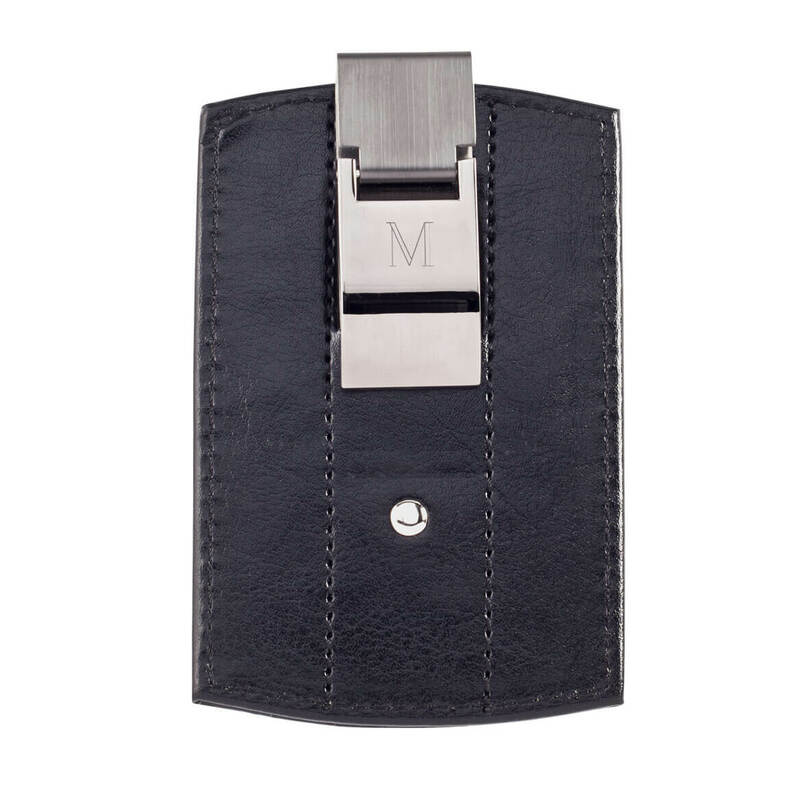 For each men’s front pocket wallet, specify initials in order (first, middle, last). These personalized wallets for men measure 4″ x 2 3/4″. So easy to find in your purse, the change keeper corrals loose change for quick, easy access (no more holding up the line digging around for those elusive pennies!). 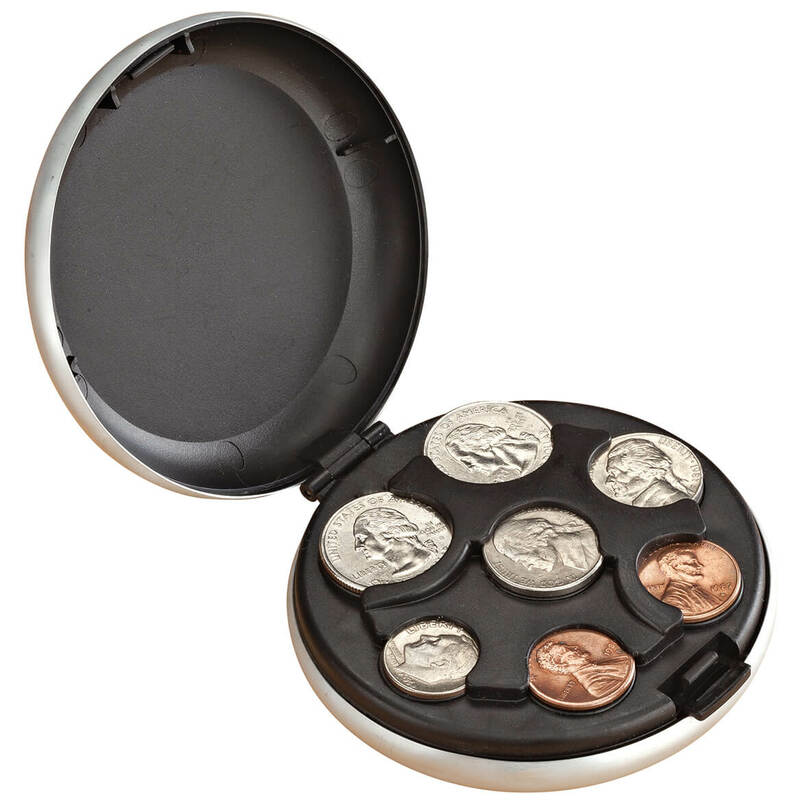 Compact enough to fit comfortably in pocket, the hard plastic coin organizer secures coins in seven separate slots (two pennies, two nickels, two quarters, one dime). Simply insert coins into change sorter and snap shut. When needed, pop the Change Keeper open with push-button tab for quick dispensing. Silver. 3 1/4″ diameter x 1 1/4″ high.